What sets modern German coaching apart? Jonathan Harding explores the reasons why German coaches are so successful, and what lies beyond the cones in dealing with player’s personalities. Featuring interviews and insight from Hannes Wolf, Frank Wormuth, Daniel Niedzkowski, Lars Kornetka and many more, this is Mensch, coming soon from Ockley Books. Jonathan Harding is a freelance sports journalist who specialises in German football. He writes predominantly for Deutsche Welle, but has also contributed to the likes of FourFourTwo, Rabona Magazine and 11 Freunde. Jonathan has lived in Germany since 2012. 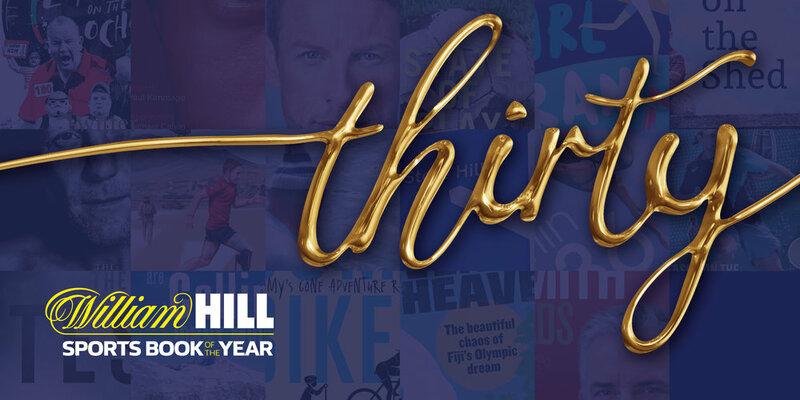 Steve Hill’s wonderful journey through a season doing The Card has been nominated for the 2018 William Hill Sports Book of the Year. Throughout history British coaches have made their presence felt across the world. From helping humble teams become the super clubs we know today to tactical innovations as the game grew nation by nation, the British had a huge hand in shaping football’s early global history. In the modern age they are still to be found far from home but where once they were at the forefront they now walk some of the less travelled pathways. Even some of the highest profile footballers have found coaching careers that have taken them to places they may never have considered before and Tony Adams, Bryan Robson and the late Howard Kendall talk about their adventures as Wanderers, Rovers & Rangers, along with with many more as the book charts a course through the world of British coaches near, far and everywhere in between. Hear about the coaches and managers who have dealt with outbreaks of Ebola in Africa during World cup qualification, earthquakes in Japan, dictatorial big club owners in Spain, match-fixing in Southeast Asia and prejudice about the British way of playing almost everywhere. Meet characters such as Bob Houghton, who took Malmo to the 1979 European Cup final, Tony Waiters, the former England goalkeeper who led Canada to their only World Cup in 1986, and Gary White, the young Englishman who gave Guam a first ever World Cup qualification win in 2015. Wanderers, Rovers & Rangers tells the story of modern British coaches plying their trade worldwide and some of the incredible triumphs and disasters along the way. From the sublime to the ridiculous one thing becomes clear - football has never mattered more worldwide, and British coaches will continue to carve their own paths through the game. NEW from Ockley Books, Barnet Away by Tom Widdicombe, a wander through one man's love affair with football and the effect it has on his relationships to those around him. With contributions from Henry and Josh Widdicombe, Barnet Away is a charming look at football's power to shape our friendships and lives in ways we don't even realise. Centered around a single season and in particular a trip to Barnet (a), this book charts everything from life, love and Super Sixes. On general sale from Thursday 8th March for just £9.99 (eBook details to follow), Barnet Away is the latest release from Ockley Books. NEW: WAS GRACE BETTER THAN BRADMAN? New and available for pre-order from tomorrow, Was Grace Better Than Bradman?, a new way to look at Ashes Cricketers. Full release details in the morning, we will have copies in good time for Christmas so get it on the list for Santa to bring you! This week the good people at Queen's Park Books helped us launch Richard Foster's new book Football's Flaws & Foibles with an event to celebrate its release. Despite the small matter of a Tottenham Hotspur v Real Madrid game happening just down the round the event was very well attended and a great success, huge thanks to everyone who came and to our brilliant hosts. Over six weeks, Daniel Storey - author of 'Portrait Of An Icon', a celebration of some of the football world's foremost individuals - will discuss a selection of his choices with David Hartrick and Chris Nee. 'Portrait Of An Icon' by Daniel Storey will be available from Ockley Books on August 18th. Proceeds will be donated to the Sir Bobby Robson Foundation. Due to an unforeseen delay with the printing, Portrait of an Icon books will now start to be sent out from Tuesday 22nd August. Still, the good news is that we will be raising far more for the Sir Bobby Robson Foundation than we ever thought possible, and we thank you both for your help in achieving that and also your continued patience. Over the next six weeks, Daniel Storey - author of 'Portrait Of An Icon', a celebration of some of the football world's foremost individuals - will discuss a selection of his choices with David Hartrick and Chris Nee. In this second episode they talk about the career and life of Ronaldo, the "real" one, and what an exceptional player he truly was. In this first episode, he talks about the career and life of Sir Bobby Robson, which I think is an exceptional place to start. So first the bad news for those of you looking to order; we have indeed sold all 1000 copies of Daniel Storey's Portrait of an Icon in aid of The Sir Bobby Robson Foundation. The demand has been overwhelming and we never expected to sell out so quickly. The link went live at 12 o'clock and twelve hours later here we are, all sold out. So to the good news, we're going to get a second print run asap. We want to make as much as possible for The SBRF and knowing lots of you still want to order we're going to sort out some more stock just as soon as we can. We'll give you the details when we have them, it will be a finite number again but we hope to get things sorted within a day or two and let you know exactly when you can get hold of one - bear with us! Okay, you ordered, we listened. We have managed to organise 3000 more copies of Portrait of an Icon to go with the initial 1000 so hopefully nobody misses out. If we sell out of those we will gauge interest and possibly do more, but we can't guarantee that at this stage and again it would be a finite and probably final amount. We're going to make The Sir Bobby Robson Foundation an awful lot of money between us so thank you for your interest, orders, help spreading the word, and generosity. The response has been amazing, you lot are incredible. So at 12:30 today we go live with copies to sell again, this has caused a small delay on shipment but everyone who orders/has ordered will have a book before the end of the month. Again, thank you, it's been an amazing few days. The wait is nearly over we promise: Portrait of an Icon by Daniel Storey is not far away. 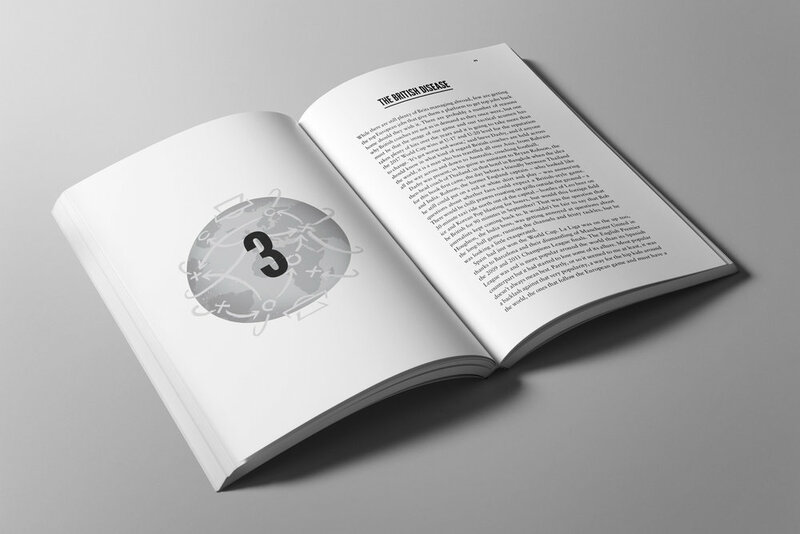 The book is going to be available exclusively via the Ockley Books website as a limited edition paperback run and the pre-order link will go live very soon. With eight book-only Portraits (including Pelé, Arrigo Sacchi, Diego Maradona, and Pep Guardiola), a foreword by Jamie Carragher, and illustrations from the likes of Dan Leydon, Steve Welsh, Stan Chow and more, this really is a must have. So to answer the three most obvious questions - why limited edition, why no eBook, and why only via the Ockley website? 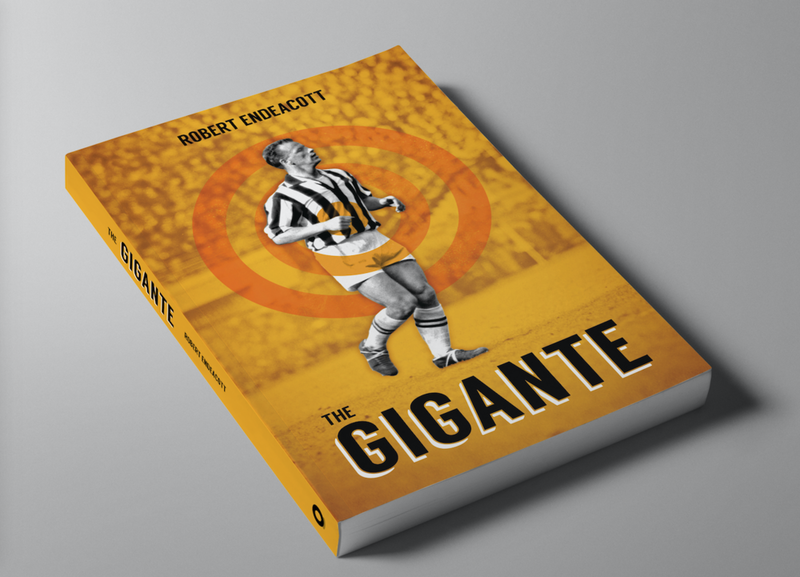 It's because we're producing this book in aid of The Sir Bobby Robson Foundation and by doing it as an exclusive we can give more back to the charity. We're hoping to raise as much as we possibly can for the SBRF and copies will go quickly. We ship worldwide and all orders will be posted within 24 hours. More details to follow next week including that pre-order link, pricing, and launch date. All enquires (including press requests) can be emailed to drh@ockleybooks.co.uk. If you enjoy please leave us an iTunes review or share the pod with someone else, we're very grateful for your time and helping us spread the Ockley word! This week's episode of the Ockley Books Podcast is now live and it's part two of Chris Nee's chat with author of The Agony & The Ecstasy, Richard Foster, about all things Play-Offs. This week covers their origin in the 1980s, touches on some of their greatest moments, and goes some way to explaining why we love them so much. Welcome to the Ockley Books podcast, now available on Soundcloud and iTunes. Over the coming weeks you will hear interviews, extracts, announcements, and general chat from Ockley's authors and friends. We're starting with something timely but over the summer we will be covering Roger Domeneghetti's brilliant From The Back Page to the Front Room, Daniel Storey's upcoming Portrait of an Icon, announcing and talking about our new colouring book, and much, much more! We start with Chris Nee talking to Richard Foster, author of The Agony & The Ecstasy, about the Football League Play-Offs, their history and how he came to be the man who literally wrote the book on them. New from Ockley Books, revised and updated for 2017 to celebrate 30 years of the Football League Play-Offs, Richard Foster's The Agony & The Ecstasy features new interviews, new photographs, updated infographics, full 2016 results, and much more. Available now by clicking here and on sale for just £12.99, celebrate the highs and lows of the biggest rollercoaster in football. Roger Domeneghetti's study of football's history with the media has been fully revised, updated and redesigned for 2017. Featuring new design work from Mick Kinlan inside and out, this beautiful new edition is available via Amazon, Ockley and in all major book stores from the 7th of April. It is early March, the evenings are getting lighter, the temperatures are gradually on the rise and winter is almost behind us at last. We will finally know the season has changed for good when the winter high-vis ball is replaced by the plain old white one. So to bastardise Queen Victoria’s favourite poet Alfred Lord Tennyson this is the time that a young person’s fancy lightly turns to thoughts of the Play-Offs. There are just a dozen games left across the three divisions and the battle for those twelve spots is about to intensify. Following on from last year there seems there will be another strong Yorkshire contingent in the mix. In the Championship, potentially joining last year’s beaten finalists Sheffield Wednesday (who admittedly do need to buck their ideas up a tad) both Huddersfield Town and Leeds United are looking strong candidates for one of those Play-Offs berths. If these two do meet then it will be a much-anticipated encounter after the touchline stramash between David Wagner and Garry Monk when the two sides met at the John Smith’s Stadium. Add the spicy tension that always accompanies these post-season games and this has all the makings of a classic confrontation. Leeds will not be overly keen on their chances considering their history of their previous four failures and any team facing Huddersfield should try to avoid a penalty shoot-out as they are the acknowledged kings, having won all four they have been involved in – 1995, 2004, 2011 & 2012. There is even the remote chance that all four Play-Offs semi-finalists could be from the White Rose county as Barnsley who are in touching distance of Wednesday may repeat last year’s surge into the League One top six from being bottom in December. Most of those clubs that are straining to get into the frame are showing signs of inconsistency with the exception of Fulham and Preston. Fulham will be keen to rid themselves of being the only London club not to have won a single Play-Offs match in their two previous attempts, while Preston will be dreaming of repeating breaking their duck back in 2015 when they easily beat Swindon 4-0 after a run of nine failures. Or is there an outside chance of the most successful manager in Play-Offs history, Neil Warnock adding Cardiff City as the fourth club he has been in charge of to win the Play-Offs? In League One there is also a couple of Yorkshire clubs right in the mix with last year’s beaten semi-finalists, Bradford City as well as their conquerors Millwall who fell at the last hurdle. On the back of Billy Sharp’s goals, Sheffield United look likely to avoid their regular Play-Offs humiliation by gaining automatic promotion. By contrast Fleetwood Town are one of only five clubs boasting a 100% record in the entire league. Meanwhile the chances of another club with a perfect record, AFC Wimbledon repeating their League Two triumph over Plymouth seems a long way off but they did achieve a similar late run under Neal Ardley last year. Scunthorpe’s recent drop-off in form has seen their grip on an automatic spot weakened and the Play-Offs are looming and if they do they would be one of the most seasoned practitioners with seven attempts yielding two promotions including the latest in 2009 where they beat Millwall in the Final, a fate that the Lions experienced last year against Barnsley. Just outside the top six are Southend and Peterborough who are amongst the more successful clubs, with five promotions between them. Perhaps the most interesting of the chasing pack are Oxford United who are one of only five clubs currently in the Football League to have never participated in the Play-Offs. In League Two there is also another club that are looking to take their Play-Offs bow, Exeter City under Paul Tidsdale, the second longest-serving manager in English football. If both Exeter and Oxford make their respective Play-Offs then that will mean 98 clubs will have competed in the Play-Offs. While Doncaster look unlikely to need to test their 100% record as automatic promotion is probable, Plymouth seem to be heading towards a repeat of last year’s ultimately fruitless foray and maybe even another match-up with Portsmouth who they overcame in the semi-finals. Of the others in with a chance there are relatively few with too much experience, the seven clubs occupying 4th to 10th having only competed 13 times between them over the thirty-year history. The next two months will involve plenty of jostling for position until the picture clears in late April/ early May as the twelve semi-finalists are decided. As ever, there are bound to be certain clubs who enter the Play-Offs with a spring in their step, as Barnsley did last season whereas others will be treading warily having seen the chance of automatic promotion slip from their grasp, just as Accrington Stanley did in the very last minute of their league campaign. Then over the last two weekends in May the fate of the six finalists will be decided at Wembley with all the accompanying agony and ecstasy.